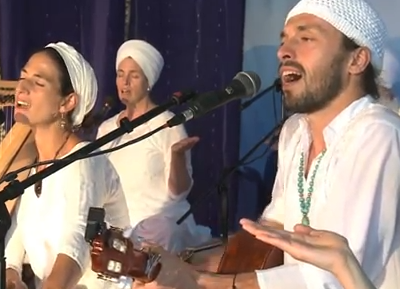 When I teach Kundalini Yoga, I always include some of the beautiful songs of Mirabai Ceiba on my play list. At the moment, I’m really partial to “Ocean” (from their album of the same name) and “Har Har Mukanday” (on Awakened Earth). 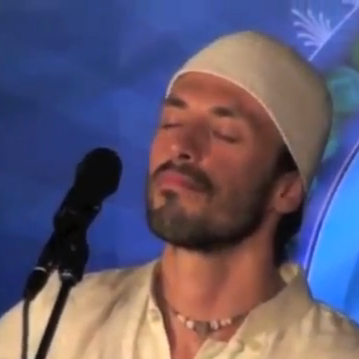 This music is, in my opinion, exactly what devotional music should be: at once ethereal and accessible. 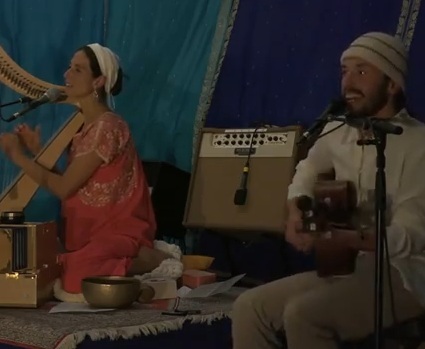 So, I couldn’t be more thrilled that — in just a few short weeks — I’ll have the opportunity to see Mirabai Ceiba live at Sat Nam Fest East in Waynesboro, PA. They’ll be performing in an evening concert on Friday, September 14 and accompanying Mahan Rishi Singh Khalsa’s workshop on Saturday, September 15. I had the opportunity to talk to guitarist/singer Markus Sieber and harpist/singer Angelika Baumbach, the real-life couple who together make up Mirabai Ceiba, about Sat Nam Fest, their family life, and more. Cate: I think people are very interested in and inspired by the fact that, in addition to being a musical duo, you’re a couple. Can you talk about working together? Cate: Why is Sat Nam Fest an important event for you? Cate: Do you have any favorite songs to perform? Cate: You’ll be performing in a concert and accompanying Mahan Rishi’s workshop at Sat Nam Fest. How will you approach these events differently? Cate: Are you looking forward to collaborating with Mahan Rishi? 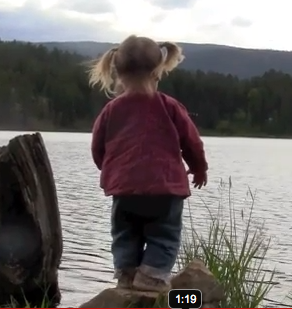 Cate: How do you balance your family life with your two children with your work? 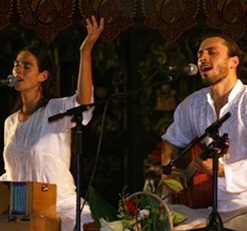 We can’t wait to see Mirabai Ceiba at Sat Nam Fest East, September 13-16, 2012!